I love this mesh so much?? And I think it looks absolutely beautiful in maxis match textures!! I also retextured the clips a little bit and recolored them! 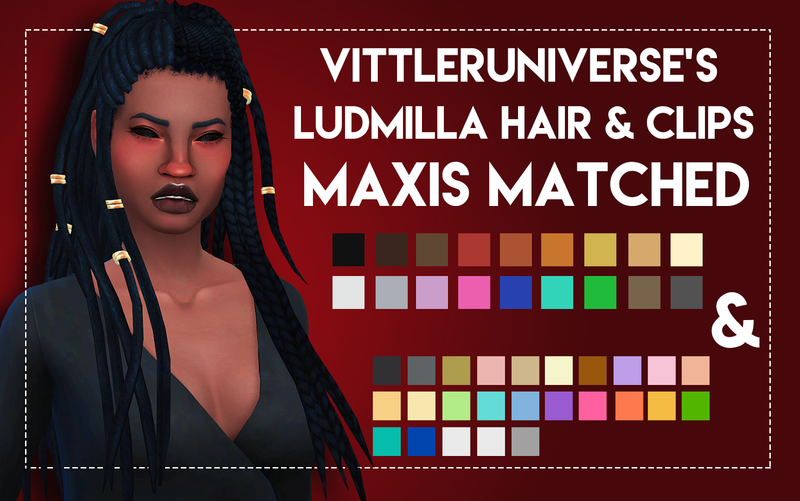 So I made 4 different versions of this hair because I’m really extra. Braids & dreads without hairline and braids & dreads with hairline. You can pick and choose whichever ones you like! The hair in the preview is with the hairline!